The top goes up and down with the push of one button. Holds on to the roads well. In winter going through snow is not a problem. I have the convertible which I think looks great. The ease of use with no locks to push or levers to pull is a welcomed relief. My problem is twice now the top hasn't gone up. Fixing an Audi is never a cheap deal. That is a huge issue to think of before buying this car. Dependable - attractive - solid car. Bought '06 Audi with 80, 000 miles 4 years ago. It is powerful, quiet and comfortable. Also good on gas, although it is a turbo so it runs best on premium gas, which adds a little expense, but it is worth it. I have driven it 40, 000 miles with just standard maintenance, except for a wheel bearing. And it is attractive! It drives great. Steering is incredibly accurate. Electrical issues — passenger side headlight flickers, window control panel on driver side sometimes stops working. Burns oil. Check engine light comes on with no defined explanation. Doesn’t take regular gas. Heated seats get really hot. All black interior awful in summer. 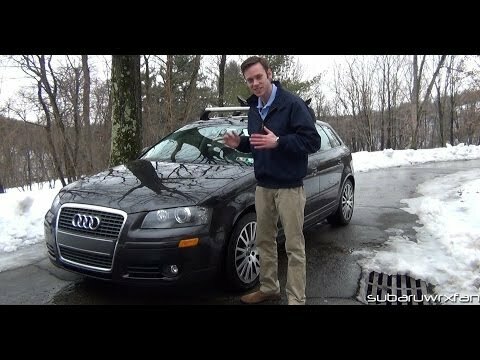 High Mileage 2006 Audi a3 review, what to expect.